Be sure to follow Paul on Twitter and check out his website for full details of the event. 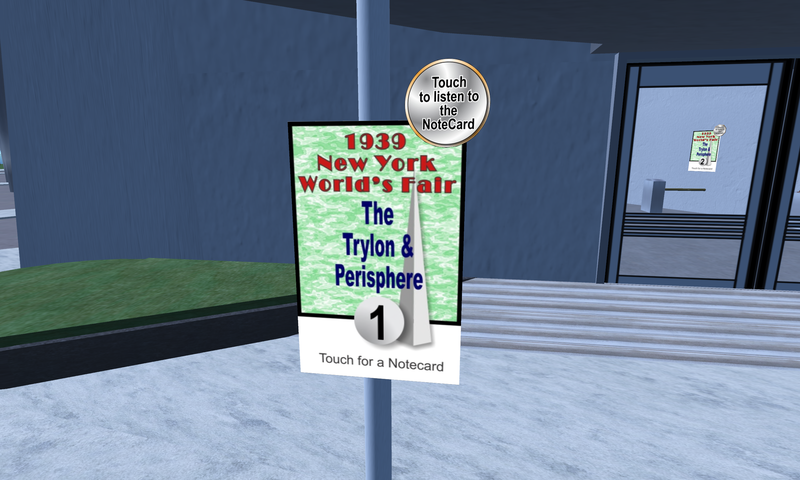 To visit the Fair, just go to the ReactionGrid homepage and Register an account. 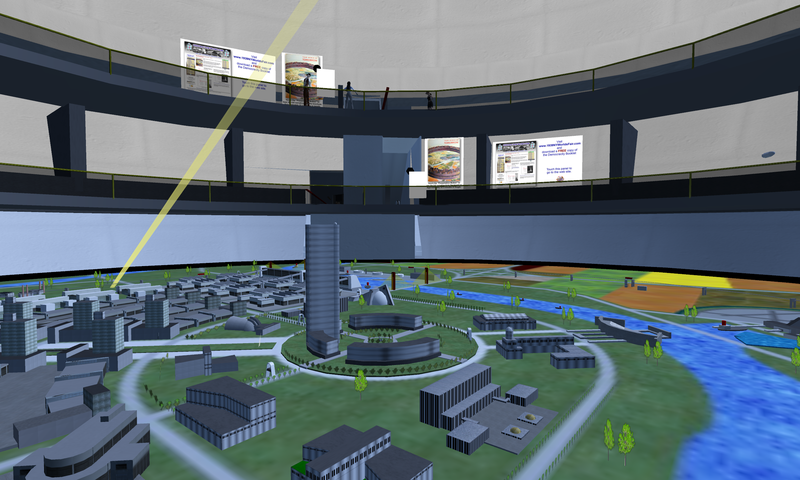 Once you log in to the ReactionGrid public grid, teleport to the region 39FairHQ. 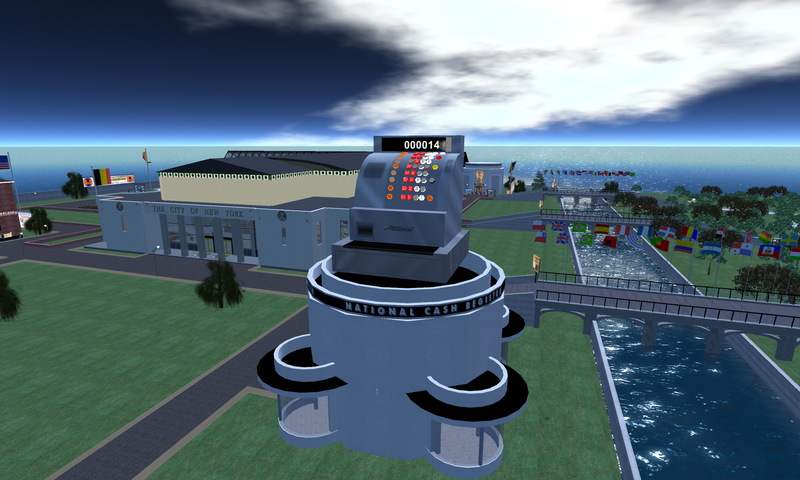 The Hypergrid Adventurers Club took a tour of the Fair on May 1st. Here are some photos. 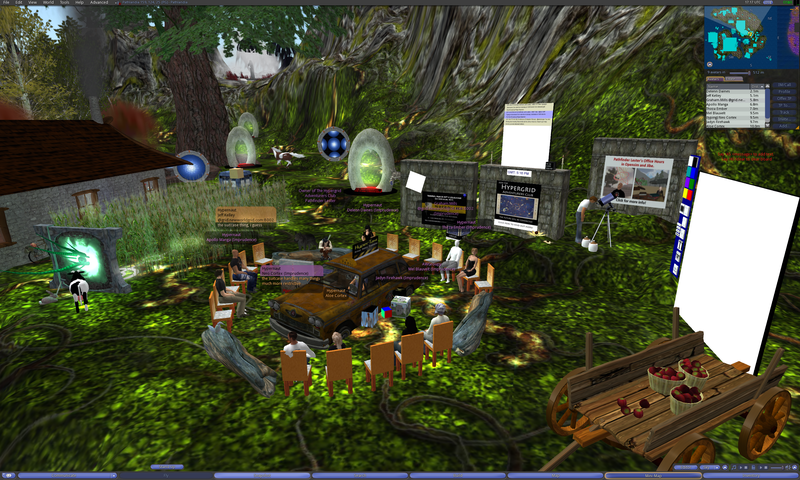 Beginning our Hypergrid Adventurers Club meeting on the region Pathlandia on JokaydiaGRID. 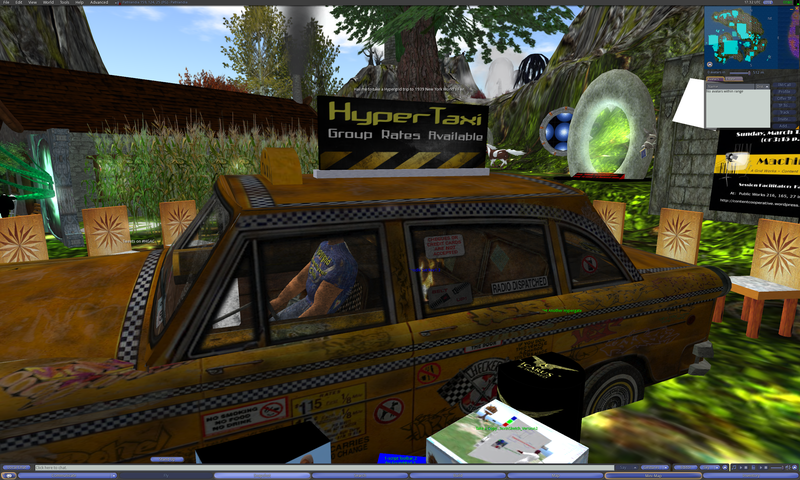 We took a New York style HyperTaxi to the Fair. Pile in! Our group arrives at the Fair! You can find these helpful boards all around the Fair. Click on them to visit the different areas. 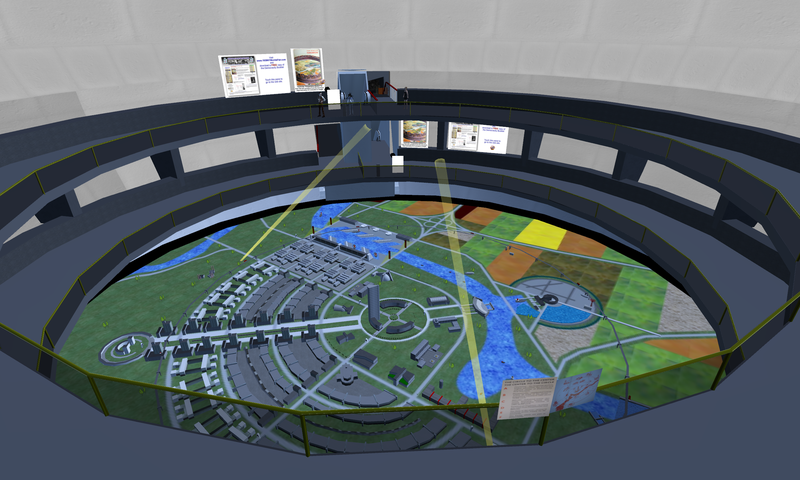 A nice aerial view of the Tryon and Perisphere. 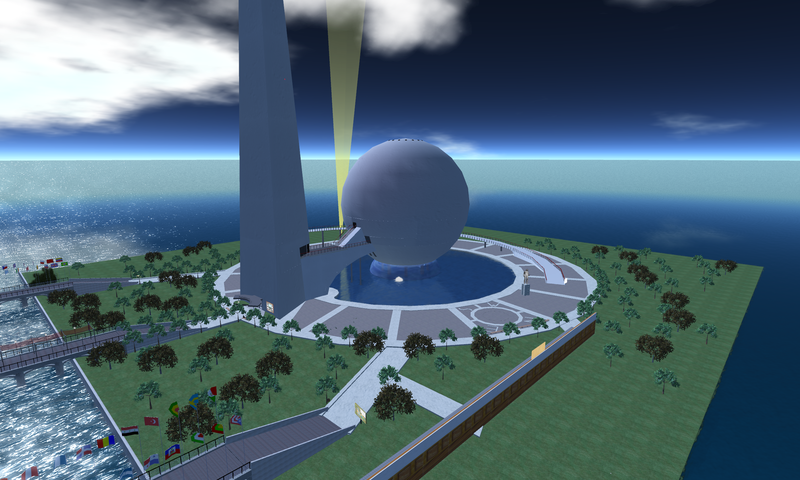 Walking up to the Trylon and Perisphere. 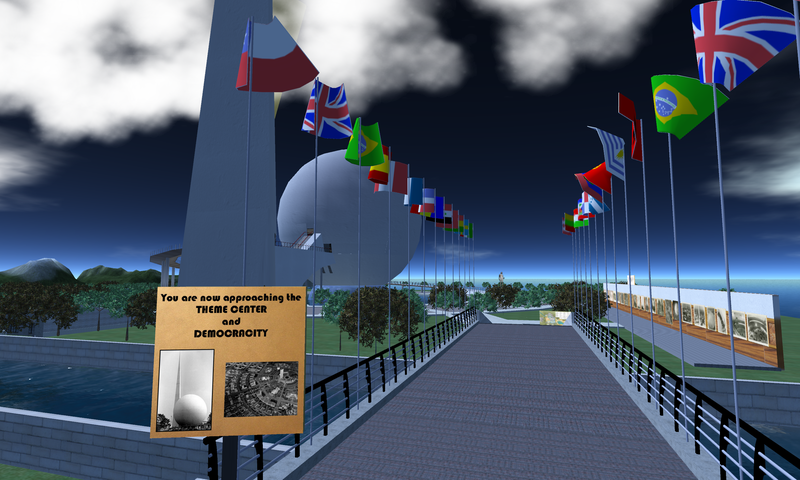 Checking out the Democracity model inside the Perisphere. 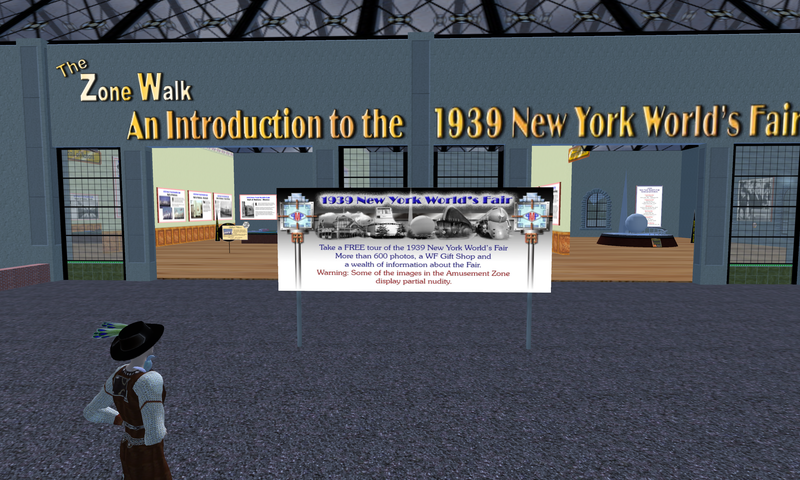 These signs around the Fair will walk you through a guided tour complete with narration. 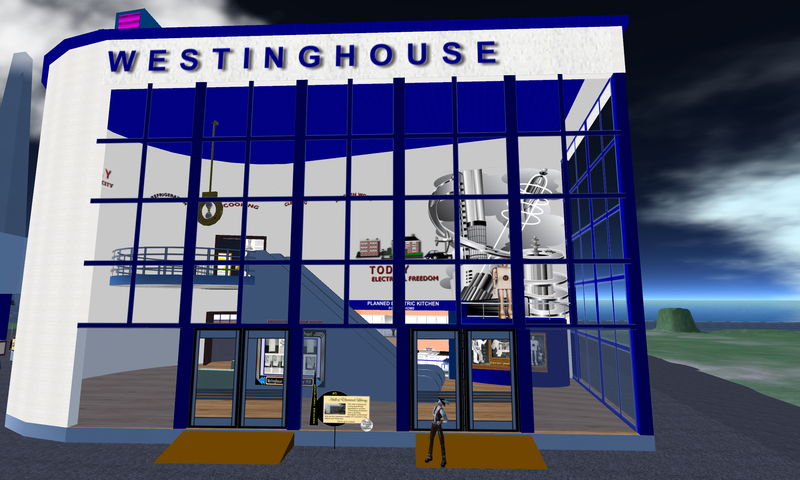 The Westinghouse display is simply amazing. Inside the Westinghouse display. 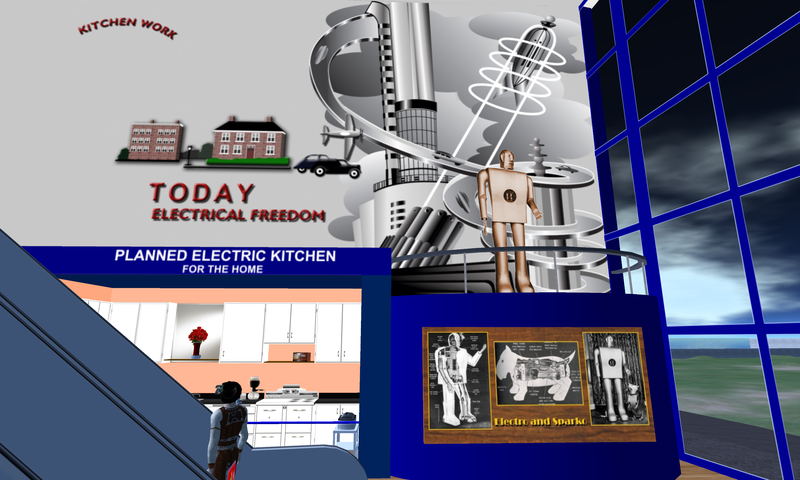 Kitchens of the Future! Look for these kiosks for a guided educational tour of the entire Fair. The Singing Tower of Light at Westinghouse. 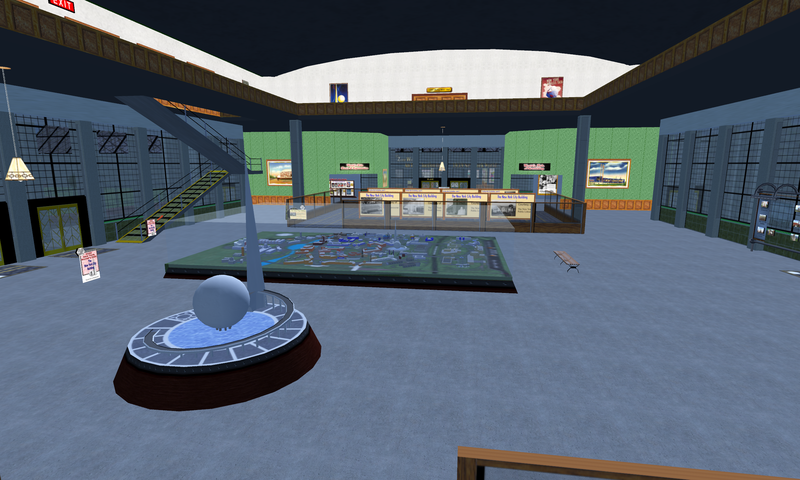 Inside the Fair HQ building. 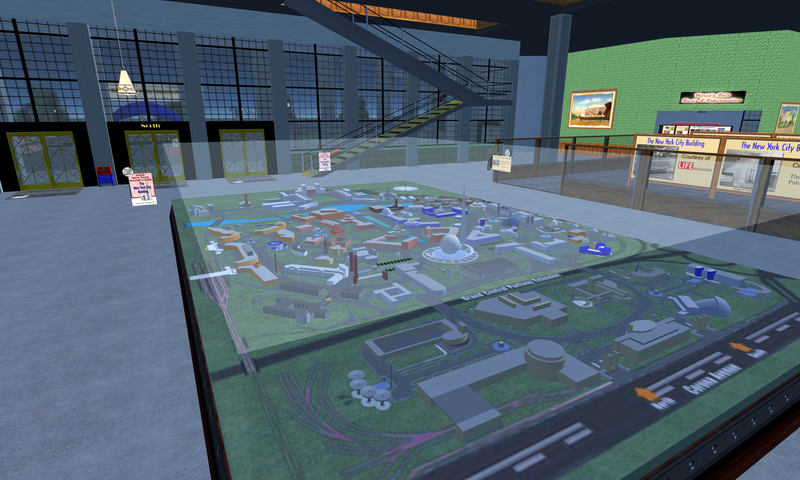 Great model of the entire layout of the fairgrounds. 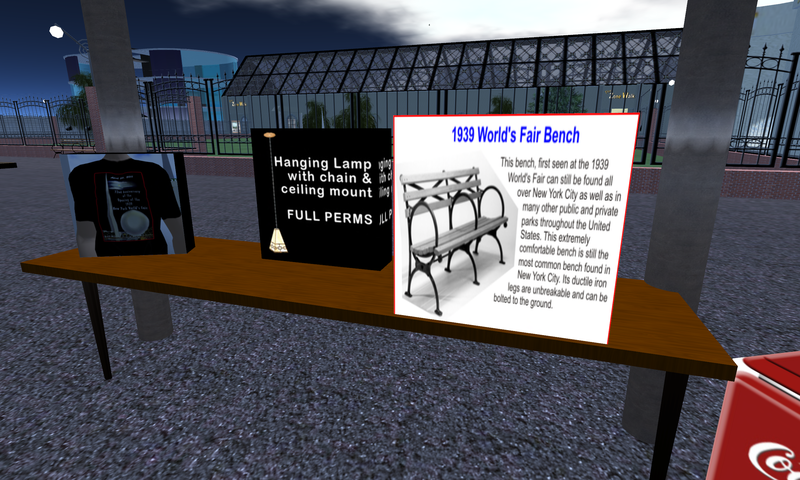 Pick up a souvenir bench, invented for the real-life Fair! 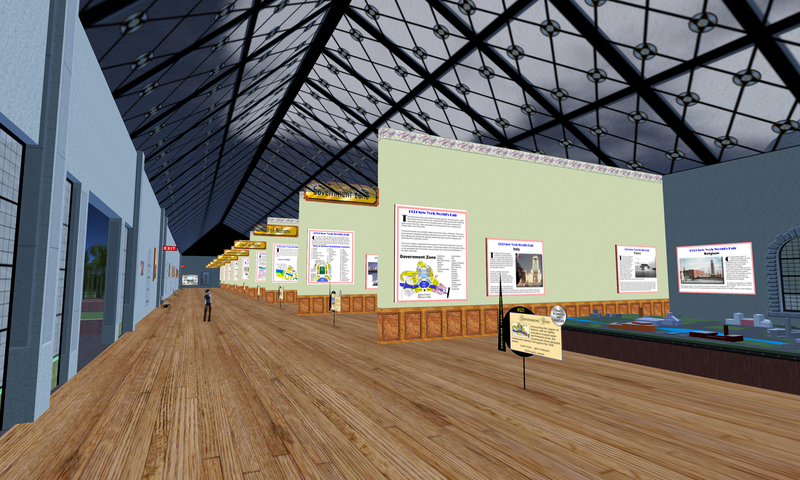 Entering the Zone Walk, an overview of all the displays at the Fair. Inside the Zone Walk. This place is huge! Visit the Fair and explore on your own! 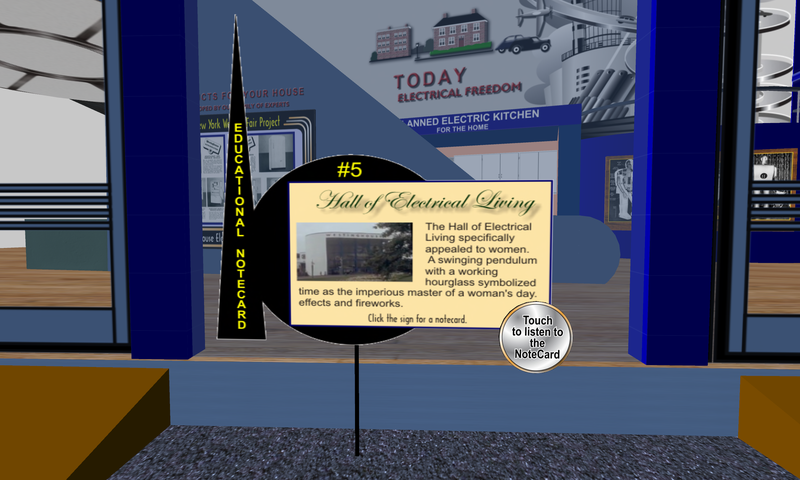 This entry was posted in Announcements, Avatars, Education, Hypergrid Adventurers Club, OpenSim, Virtual Worlds and tagged 1939 world's fair, architecture, art, avatars, education, HyperGrid, Hypergrid Adventurers Club, innovation, jokaydiagrid, metaverse, online communities, OpenSim, ReactionGrid, virtual worlds by John "Pathfinder" Lester. Bookmark the permalink. Wonderful build. Thanks for drawing our attention to it, John. That build just gets better all the time. I live a few miles from the current location of the Belgian Pavilion, so Paul and I have compared notes and photos. 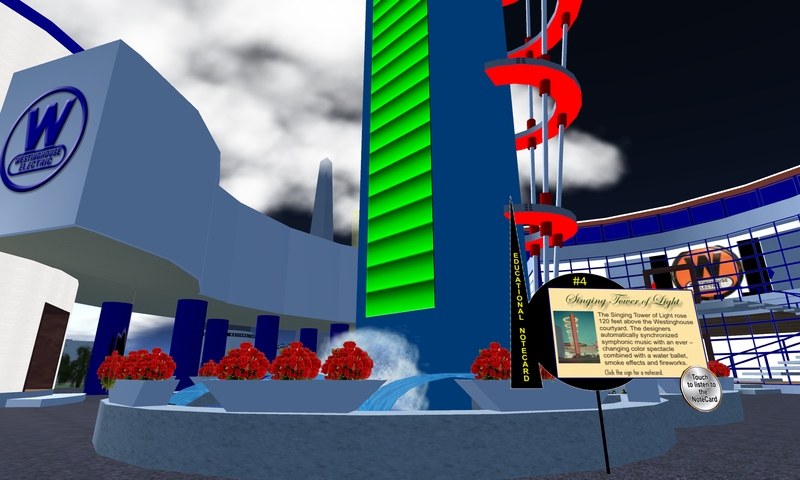 I’m rather fanatical about “The World of Tomorrow,” having written professionally about the Fair…and seen the centrally planned technopia of the 30s morph into America’s pot-holed, underfunded, venal reality of the present (and not without a great deal of sadness). “Sound the brass, roll the drum! To the World of Tomorrow we come! “We have the wodsim and community to simply create it.”Perfect – thank you, Pathfinder, for building a new and fascinating community of hypernauts! Happy New Year to you all!